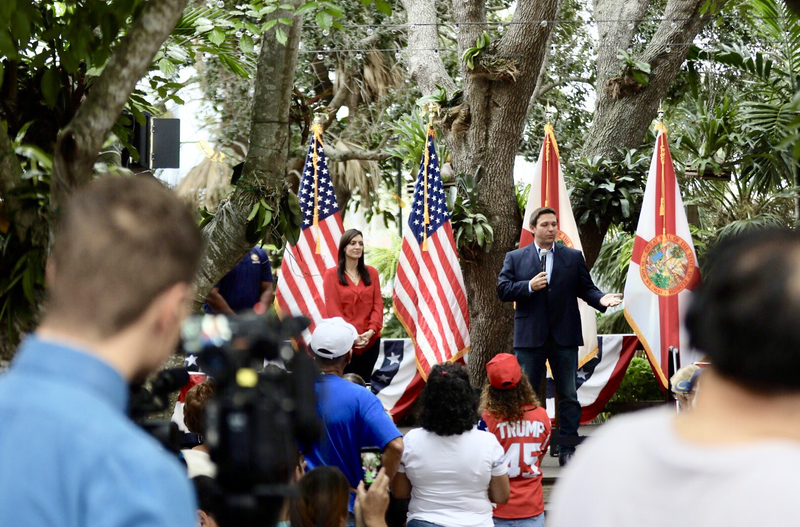 Naples, Fla.- Governor-elect Ron DeSantis and Lt. Governor-elect Jeanette Nuñez were in Naples this afternoon as part of their statewide Thank You Tour. They stopped at Food & Thought to express their gratitude for the outpouring of support they received from Collier County voters in this election. State Senator Kathleen Passidomo and State Representative Byron Donalds were in attendance. Destin, Fla.- Governor-elect Ron DeSantis and Lt. Governor-elect Jeanette Nuñez joined Panhandle residents this morning as part of their statewide Thank You Tour. State Representatives Jayer Williamson and Mel Ponder opened the event at AJ’s Seafood & Oyster Bar in Destin with a full house of supporters in attendance. 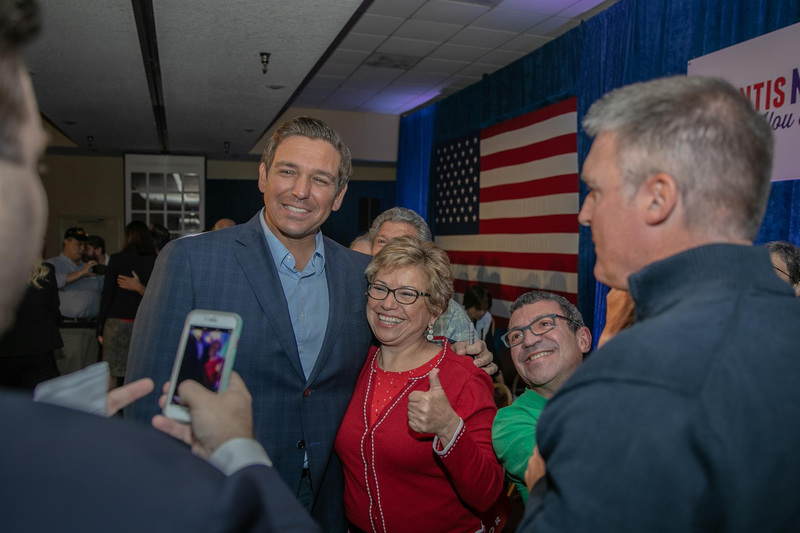 Praising the resilience of Panhandle residents in the wake of Hurricane Michael, Governor-elect DeSantis and Lt. Governor-elect Nuñez thanked voters for their incredible support and turnout this election. 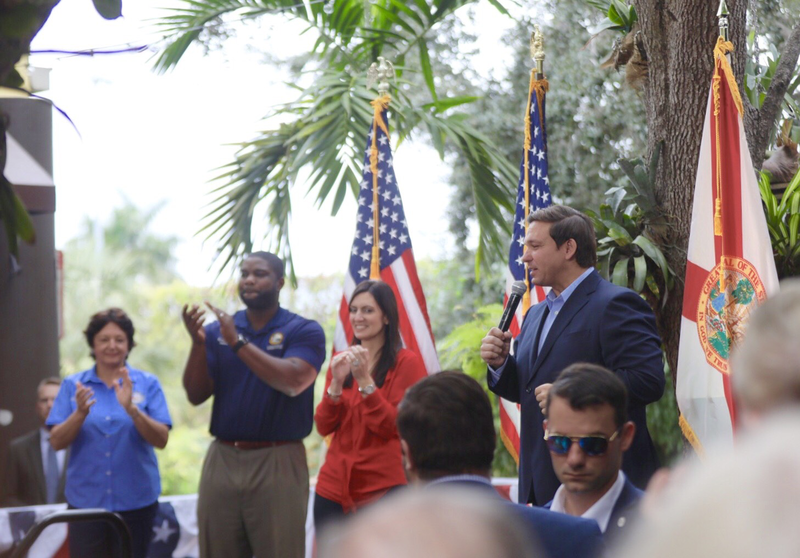 MIAMI- Governor-elect Ron DeSantis and Lt. Governor-elect Jeanette Nuñez held a stop this afternoon in Miami as part of their statewide Thank You Tour to express their gratitude for their dedicated supporters. Addressing a packed audience at t, Fhe Jose Marti Gym, Governor-elect Ron DeSantis and Lt. Governor-elect Jeanette Nuñez were also joined by Reverend Juan Barek, City of Miami Commissioner Joe Carollo, City of Miami Commissioner Manolo Reyes, Florida House Representative Vance Aloupis, and Florida State Senator Manny Diaz. The crowd enjoyed cafecito and music to celebrate the historic win. Tallahassee, Fla. – Governor-elect Ron DeSantis and the 2019 Inaugural Committee today announced Inaugural events taking place in the capital city of Tallahassee on January 7 and 8, 2019. The list of confirmed Inaugural events is provided below. Additional events may be announced at a future date. Information on how to apply for media credentials is forthcoming. 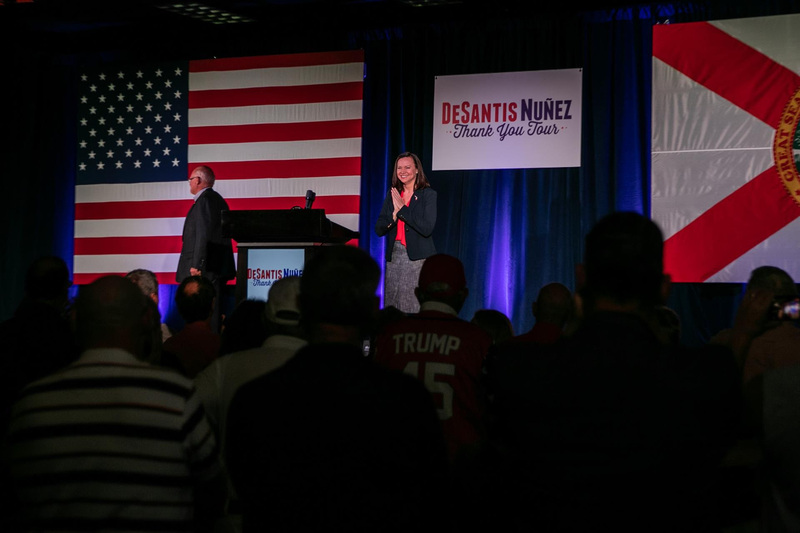 The 2019 Inauguration will mark the historic election of Jeanette Nuñez as Florida’s next Lieutenant Governor, making her the highest-ranking Hispanic woman elected in Florida history. The Women for Florida Leadership Breakfast will honor the many strong women who made the campaign possible and celebrate the important leadership role women will play in the DeSantis-Nuñez Administration. Governor-elect Ron DeSantis has a bold vision for the future of our state and a plan to build on Florida’s success. The Thought Leaders Luncheon will feature Florida’s top leaders from the private and public sectors to discuss how we can work together to secure Florida’s future. During the event, Governor-elect DeSantis will share the DeSantis-Nuñez administration’s Bold Vision for a Brighter Future. As an Iraq War veteran, Governor-elect DeSantis and incoming First Lady Casey DeSantis know all too well the sacrifice and dedication of those who serve us both at home and abroad in our military and as Florida’s first responders. This military and law enforcement appreciation event will honor the heroes who selflessly protect our state and nation. The event will be free and open to all veterans, military members, first responders and Gold Star families. Florida’s faith leaders play a critical role in working with government to better serve our communities. This event continues the time-honored tradition of an inclusive Inaugural Prayer Breakfast celebrating our state and its diversity ahead of the official Swearing-In Ceremony. Individuals of all faiths are welcome to attend this event and pray for Floridians across the state. The Swearing-In Ceremony on the steps of Florida’s Historic Capitol Building symbolizes the uniquely American tradition of a peaceful transition of power as our state welcomes its newly elected officials. The 2019 Inaugural Committee looks forward to the historic Swearing-In Ceremony of Governor-elect Ron DeSantis and Lieutenant Governor-elect Jeanette Nuñez, as well as members of the Florida Cabinet. For the first time in Inaugural history, Governor-elect Ron DeSantis will address Florida’s Legislative leaders and Cabinet officials on the 4th Floor in the Capitol Rotunda between the Chambers of the Florida Senate and the Florida House of Representatives. Governor-elect DeSantis will discuss his plans to work with our state’s elected leaders to achieve a Bold Vision for a Brighter Future so we can continue to build on our success and address the challenges that lie ahead. The Inaugural festivities will conclude with the traditional ball honoring our state’s new leadership. Florida’s 46th Governor’s Inaugural Ball will be an evening of celebration, dancing and fellowship enjoyed by Floridians united by the goal of bettering our state for generations to come. 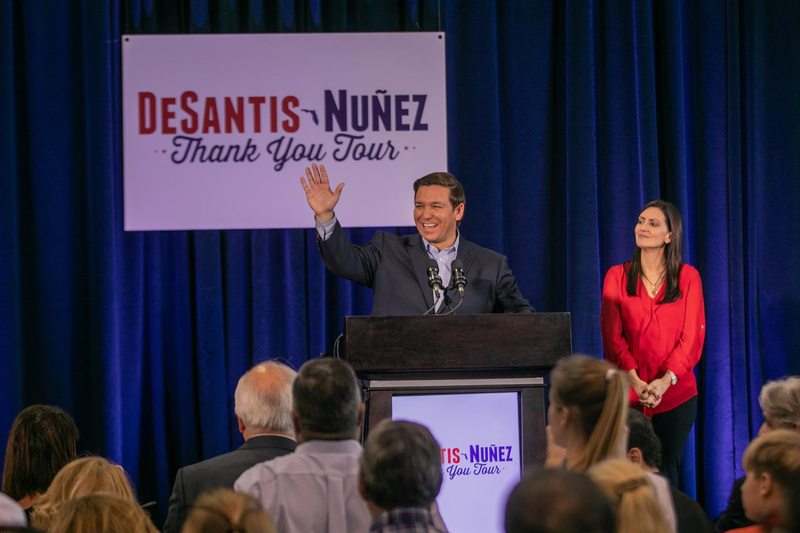 Tallahassee, Fla. – Governor-elect Ron DeSantis and Lt. Governor-elect Jeanette Nuñez today announced the continuation of their Thank You Tour on Saturday, December 15, 2018, with stops in Destin (Okaloosa County), Naples (Collier County) and Miami (Miami-Dade County). Provided below is the schedule of confirmed stops on the DeSantis-Nuñez Thank You Tour. 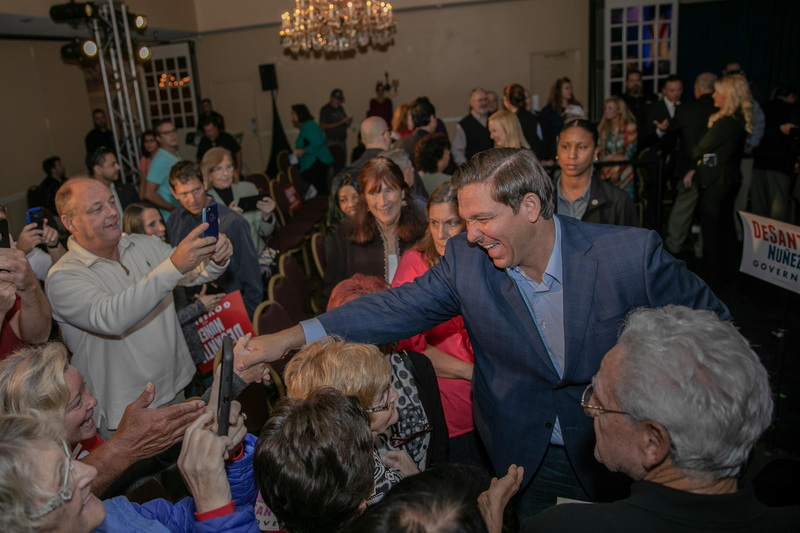 The Villages, Fla.– Governor- elect Ron DeSantis today held a rally stop at The Villages as part of his Thank You Tour. Along with Governor-elect Ron DeSantis and incoming First Lady Casey DeSantis, Attorney General-elect Ashley Moody, State Senator Dennis Baxley, State Representative Brett Hage, and Sumter County REC Chairman John Calandro addressed the crowd of hundreds of supporters. At The Villages, Governor-elect Ron DeSantis and incoming First Lady Casey DeSantis thanked supporters for their hard work during the campaign and discussed their vision for the future of the state. 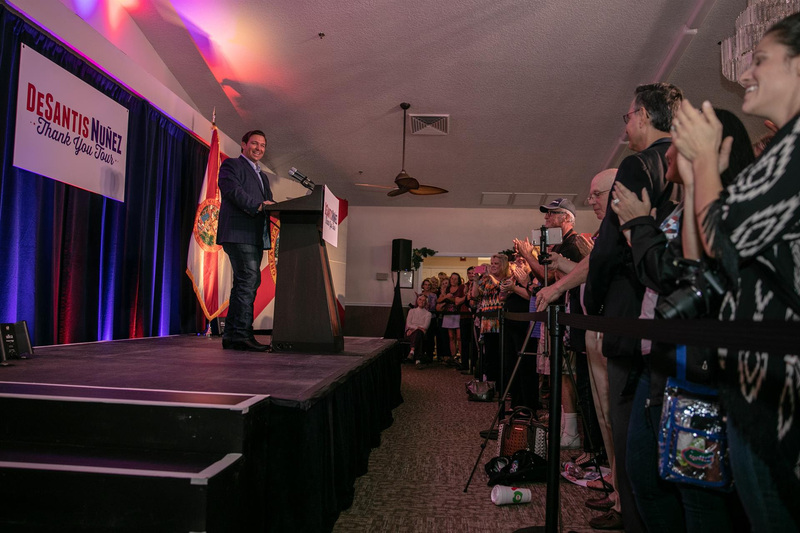 Port Orange, Fla.- Governor-elect Ron DeSantis and incoming First Lady Casey DeSantis today held a rally stop in Port Orange as part of a Thank You Tour to celebrate their historic win with supporters and volunteers. With a full house in attendance, Governor-elect Ron DeSantis and incoming First Lady Casey DeSantis were also joined by Volusia County REC Chairman Tony Ledbetter, City of Port Orange Vice Mayor Chase Tramont, Volusia County Councilwoman Deb Denys, and State Representative Tom Leek. 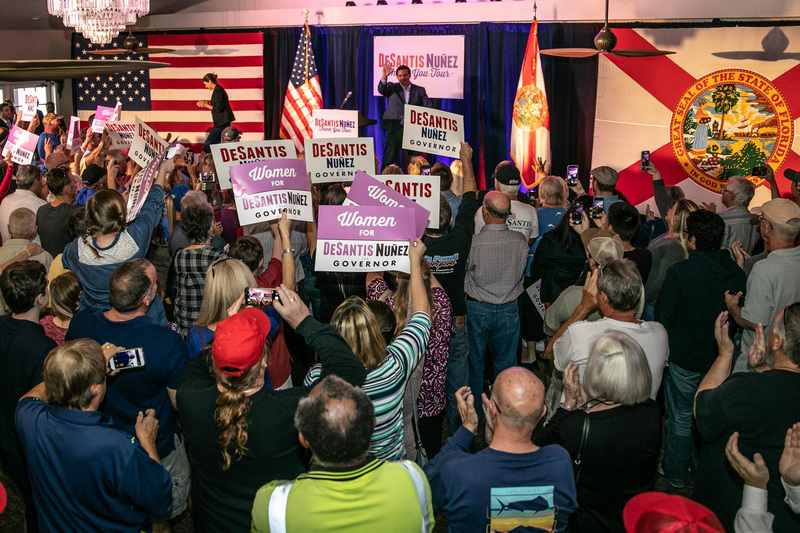 New Port Richey, Fla.– Governor-elect Ron DeSantis and incoming First Lady Casey DeSantis were joined by hundreds of supporters today for an early morning Thank Your Tour rally. Attorney General-elect Ashley Moody, Pasco County Sheriff Chris Nocco, State Senator Wilton Simpson, State Senator Ed Hooper and State Representative Amber Mariano also spoke. 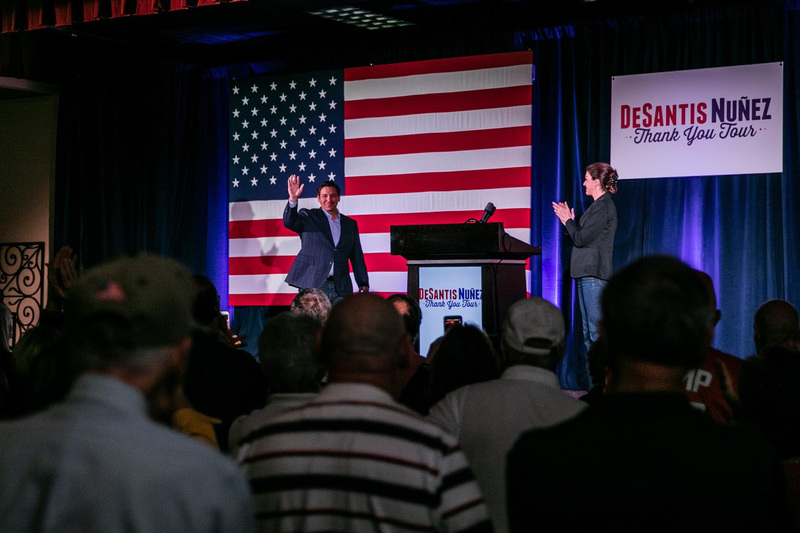 At the Pasco County Rally, Governor-elect Ron DeSantis and incoming First Lady Casey DeSantis thanked supporters for their hard work during the campaign and discussed their vision for the future of the state. 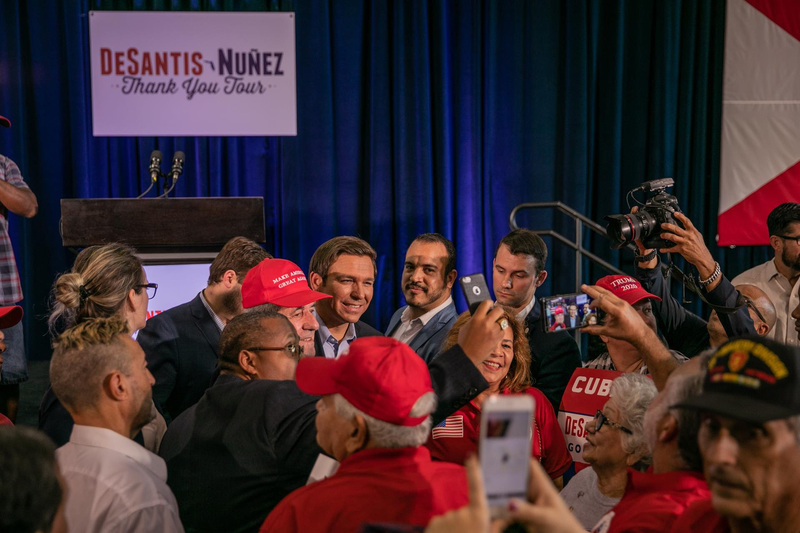 Tallahassee, Fla. – Governor-elect Ron DeSantis and Lt. Governor-elect Jeanette Nuñez today announced their upcoming Thank You Tour with rally stops planned across the state. The tour will begin with the first in a series of events on Saturday, December 8, 2018, with rally stops in New Port Richey (Pasco County), The Villages (Sumter County) and Port Orange (Volusia County). Governor-elect DeSantis will be joined by Attorney General-elect Ashley Moody in New Port Richey and The Villages. 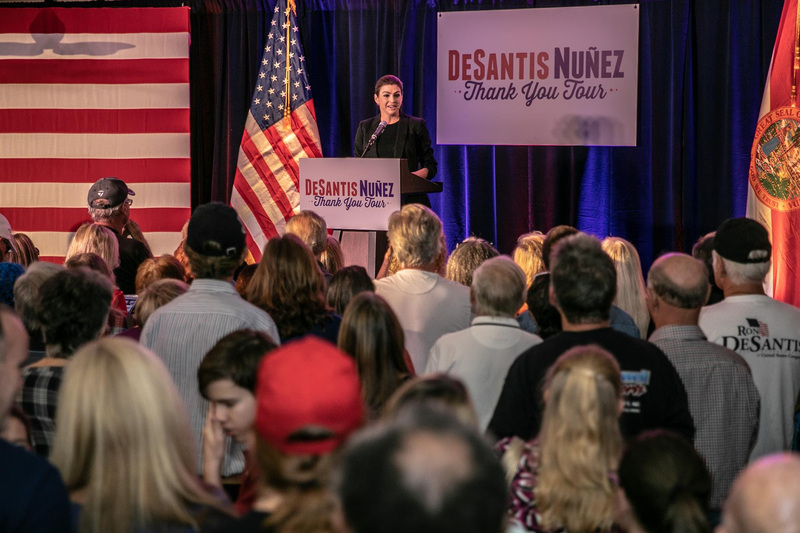 Tallahassee, FL – Governor-elect Ron DeSantis today announced key staff leadership for the 2019 DeSantis Nuñez Inauguration. Inaugural staff will support the recently announced Inaugural Committee as they prepare for inaugural events. Staff names and biographies are listed below. 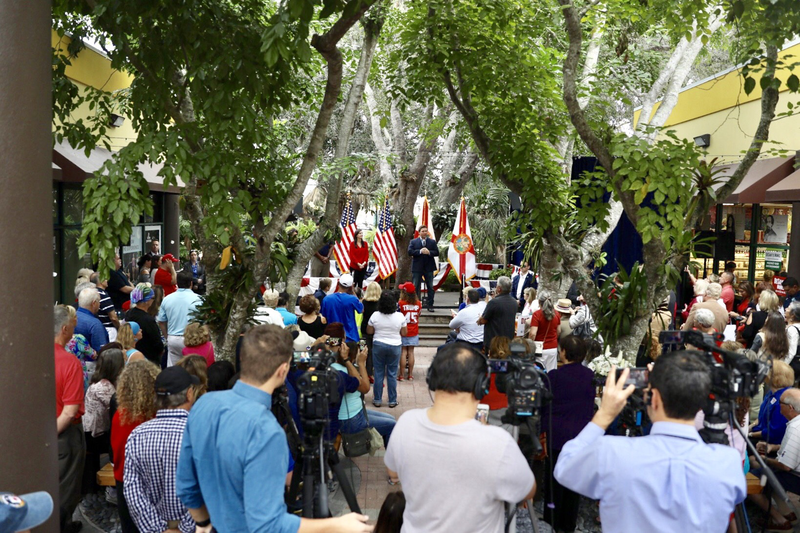 For information about the DeSantis Nuñez Inauguration, please visit rondesantis.com/inauguration. Justin Caporale is an experienced advance and operations professional with an extensive background in developing the strategy and overseeing the management of political events and advocacy campaigns. Justin worked as a senior Advance and Operations lead throughout the 2016 Donald J. Trump for President campaign before serving in the White House as a Special Assistant to the President and the Director of Operations for the East Wing. 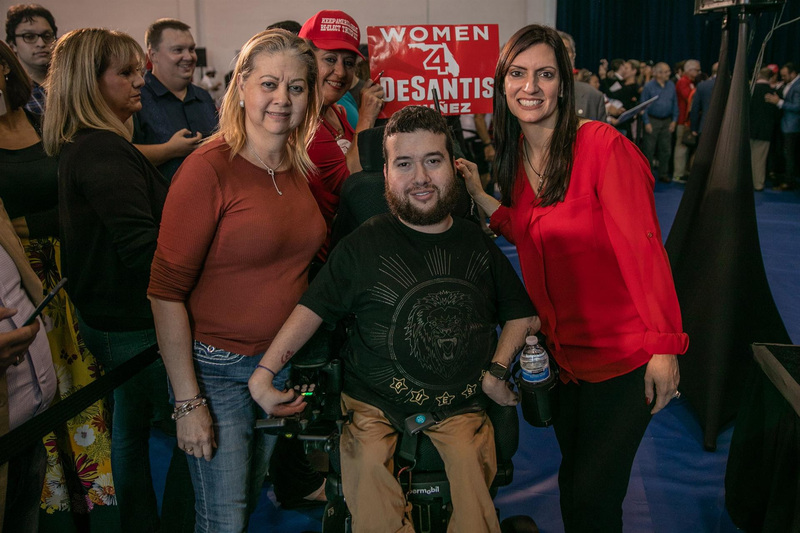 Justin previously served as the Director of Operations and Chief of Staff for Concerned Veterans for America and most recently worked as Director of Advance for the Ron DeSantis for Governor campaign. Jaclyn Schwinghamer, a Florida native, will be joining the team to lend her skills as an operational specialist. Jaclyn most recently served as Director of Operations for a D.C. political consulting firm where she has done numerous events for high ranking political officials. Prior to that role she is a Capitol Hill alum where she was the Director of Operations and Scheduling for Congresswoman Lynn Jenkins of Kansas and Congressman Richard Hanna of New York. Jordan Wiggins is a veteran political strategist with over 10 years of political experience in local, statewide, and national campaigns. Jordan most recently served as Deputy Campaign Manager for the Ron DeSantis for Governor campaign. Prior to the successful Florida 2018 gubernatorial race, Jordan was the Field Director for the National Republican Congressional Committee and the Iowa Field Director for the Marco Rubio for President campaign. Jordan also served as the Campaign Manager for several statewide races in South Carolina and Virginia and as the Political Coordinator for American Crossroads/Crossroads GPS in Washington, D.C.
Nicole Rees is a marketing and public relations professional with extensive experience in the public and private sectors. Nicole most recently served on the Ron DeSantis for Governor campaign and prior to that was a Senior PR Account Executive at Visit Florida. She previously worked as Senior Account Manager at Geiger & Associates Public Relations, where she was responsible for tourism marketing programs, destination awareness, media events and logistical sponsorships. Nicole has also worked in board relations at Volunteer Florida and within Governor Rick Scott’s Executive Office. Partners Rick Porter and Gretchen Picotte along with their associate, Ivey Rooney of Political Capital, will serve as the lead fundraising consulting team for the Inaugural Committee. Rick served as the lead finance consultant on DeSantis for Governor where he led a team that raised over $53 million in the General Election. Coming off the success of the campaign, he will continue to lead the day-to-day operations of the finance team. Gretchen and Ivey will continue in their position, working daily with the Inaugural Finance Committee and Committee Members. Both Rick and Gretchen have led finance activities for top state and national figures including Donald Trump, the Republican Party of Florida, RNC, NRCC, Speaker John Boehner, Speaker Paul Ryan, Rudy Giuliani and many others over the past decade. Ivey brings her experience as Finance Director of the Republican Party of Florida having produced successful fundraising events over the past four years including the 2016 RNC Convention in Cleveland. Political Capital’s experience also includes Rick Scott’s 2010 Gubernatorial race and 2011 Inauguration. Heather Barker is one of Florida’s leading political finance professionals. One of the first to join Team DeSantis in 2017 as Finance Director, Heather Barker raised millions nationwide in the 2018 primary and general elections and coordinated many events with national dignitaries including President Trump. Heather previously worked at the Florida Republican Senatorial Campaign Committee (FRSCC) and served as director of candidate fundraising under President Joe Negron for the 2016 election cycle. After leaving FRSCC, she fundraised for President Joe Negron and assisted with special projects in his last year as President. She also worked in the Senate Majority Office under Leader Lizbeth Benacquisto. Additionally, Heather has served as the finance director for the Republican Party of Florida in 2015, a fundraising consultant for Taylor Strategies, where she provided full service fundraising for individual candidates in the Florida House and Florida Senate and at Contribution Link where she provided detailed fundraising plans for candidates, committees and associations. Meredith Beatrice is a veteran of political and government communications. Meredith most recently served as Communications Director for the Republican Party of Florida where she focused on Florida’s 2018 gubernatorial race and supporting the Ron DeSantis for Governor campaign. Her previous roles include serving as the Director of External Affairs for the 2017-2018 Constitution Revision Commission and the Communications Director for the Florida Department of State. Prior to moving to Florida, Meredith served as a director at JDA Frontline, a public affairs firm located in Washington, D.C.
Tara Reid is an experienced government affairs consultant and political campaign advisor. Tara most recently served as the Surrogates Director for the Republican Party of Florida where she focused on Florida Cabinet races and the Ron DeSantis for Governor Campaign. She is a Republican Party of Florida veteran having served in multiple roles including Special Assistant to the Chairman and on the Rick Scott for Florida gubernatorial campaign in 2014. She is a Principal at Strategos Group in Tallahassee where she focuses on state advocacy for K-20 education and juvenile justice clientele. Sarah Bascom, along with her senior consultants Lyndsey Brzozowski and Kristen Bridges, who served as communications advisors for the Ron DeSantis for Governor Campaign, will also assist the inaugural team. Along with Kelsey Swithers and Sarah Demont of Bascom Communications, their team will assist the communications team with media and event execution. Katie Strickland is a communications professional with both Florida-based political and government experience. Katie most recently served as Communications Director for Jimmy Patronis’ campaign for Chief Financial Officer and Communications Director at Ello Creative, a digital firm focused on political campaigns and issue-based advocacy organizations. Previously, Katie served as Deputy Communications Director at the Agency for Persons with Disabilities. Prior to joining the APD press office, she worked at the Florida House of Representatives.